Here is how we did in our tourns. @Mountain Park Paintball : 6th place with a total of 311pts. I am proud of how well we worked as a team and showed that our Tippmann's could hang with the fast shooting markers. I am also proud cause that was our first ever tourny. There was 23 teams in the whole tournament,I am glad that the team did so good and showed that once again Tippmann's can hang with the best of them. Not bad for our 2nd tournament ever. 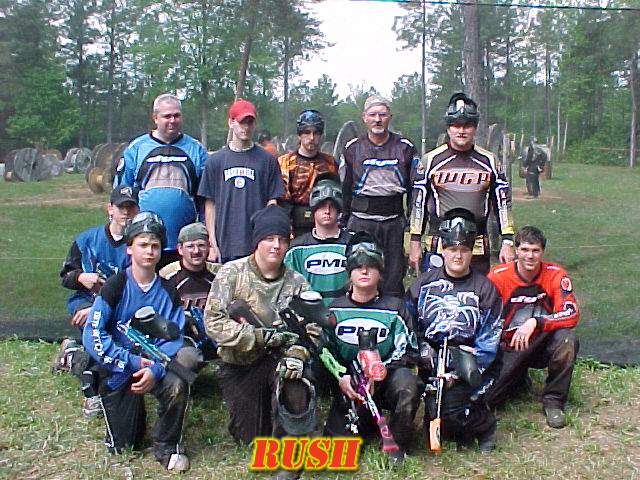 3 of the EnFoRcErS were on team Rush that took 7th overall in the 10 man open tournament. I am glad to see how we did as a team. 2 of the EnFoRcErS were on this 5 man team. The team was placed in the top 5 of the tournament. They also got the sportsmanship award.